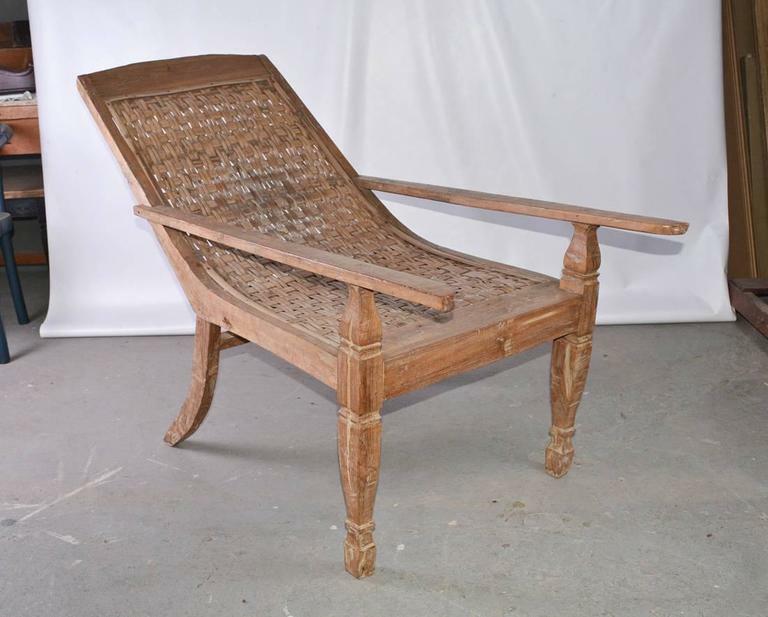 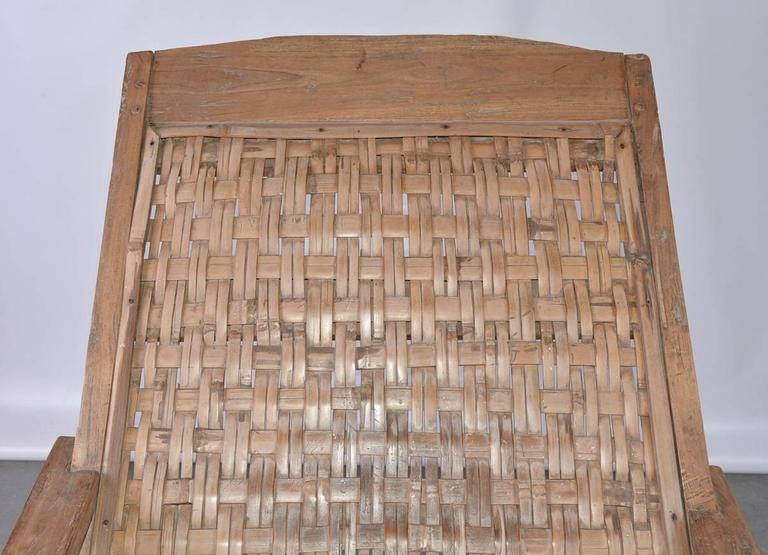 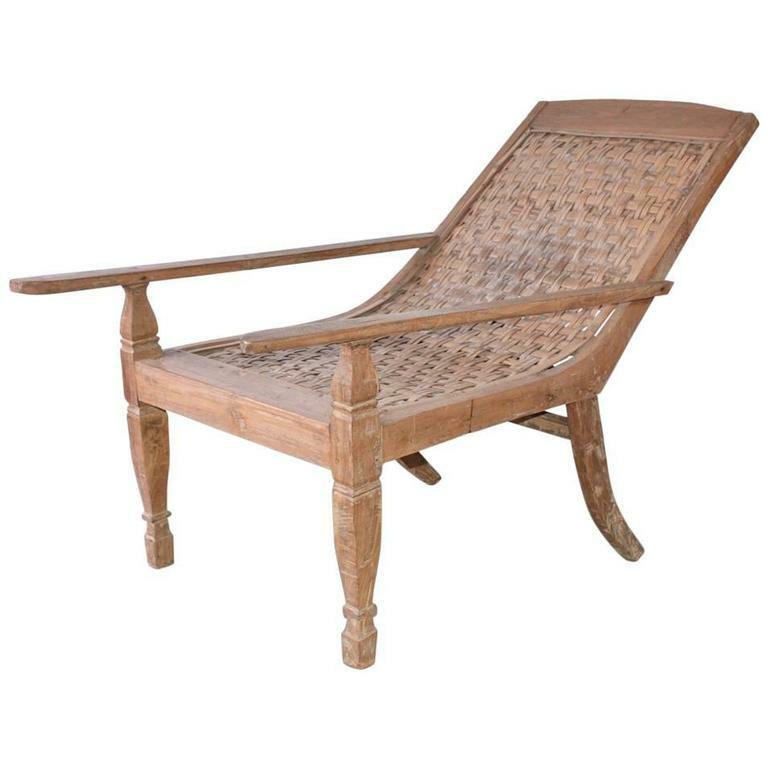 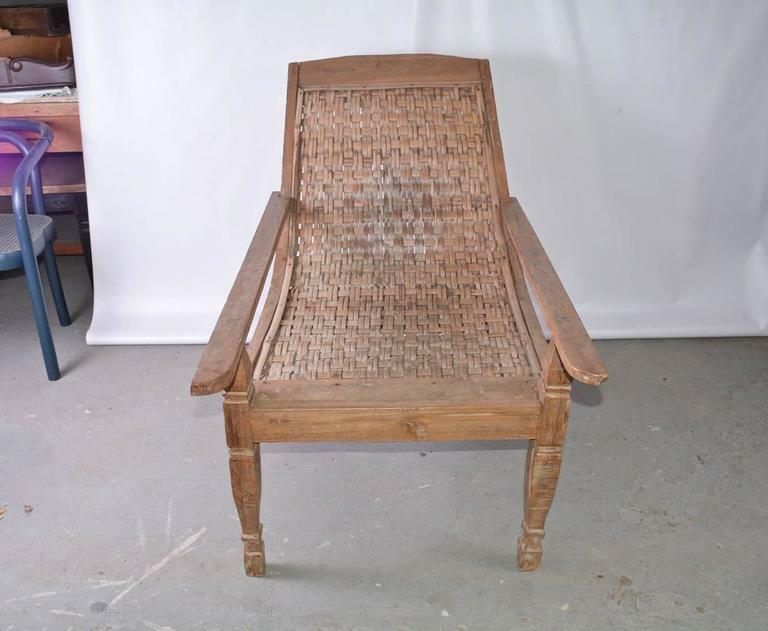 Indoor or outdoor British Colonial teak plantation or planters chair with cane seat and back. 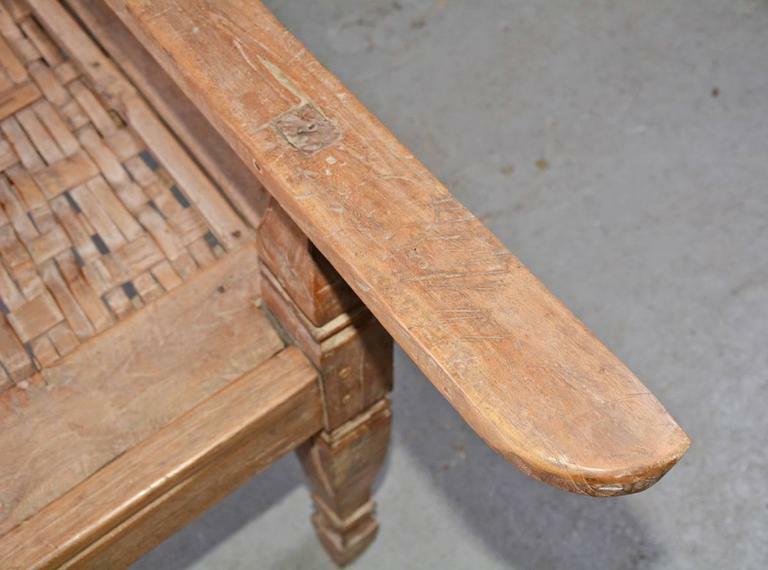 Wonderful weathered wood patina. 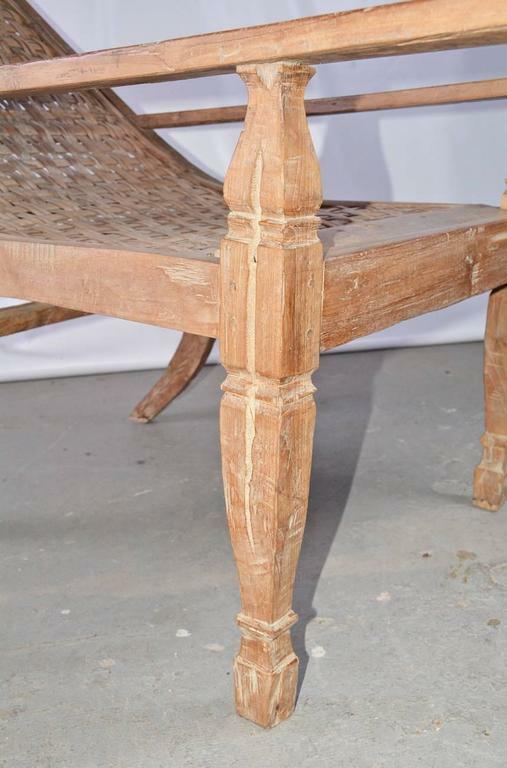 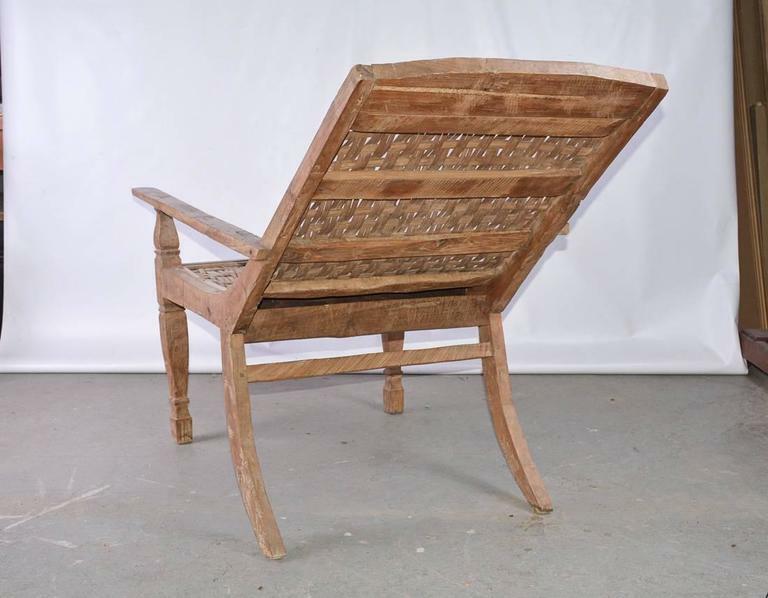 Indoor or outdoor British Colonial teak plantation or planters chair with plank seat and back. 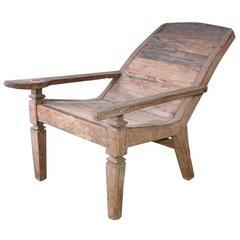 Wonderful weathered wood patina. 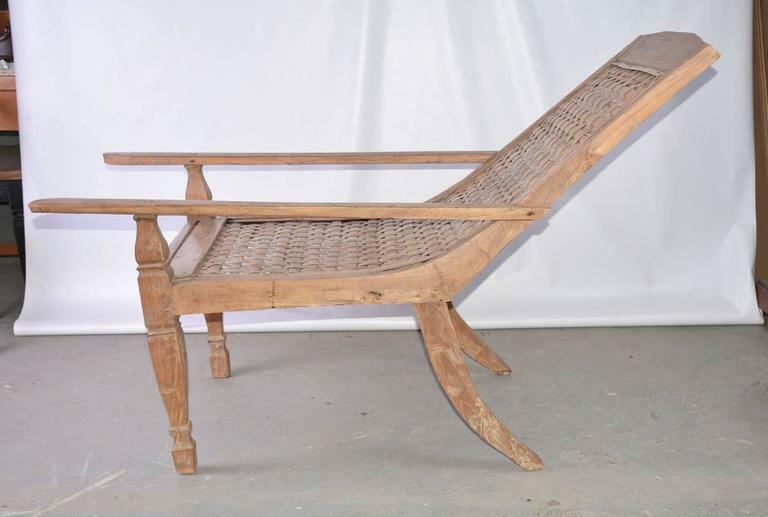 1980s set of three English teak wood loungers with bronze hinges. 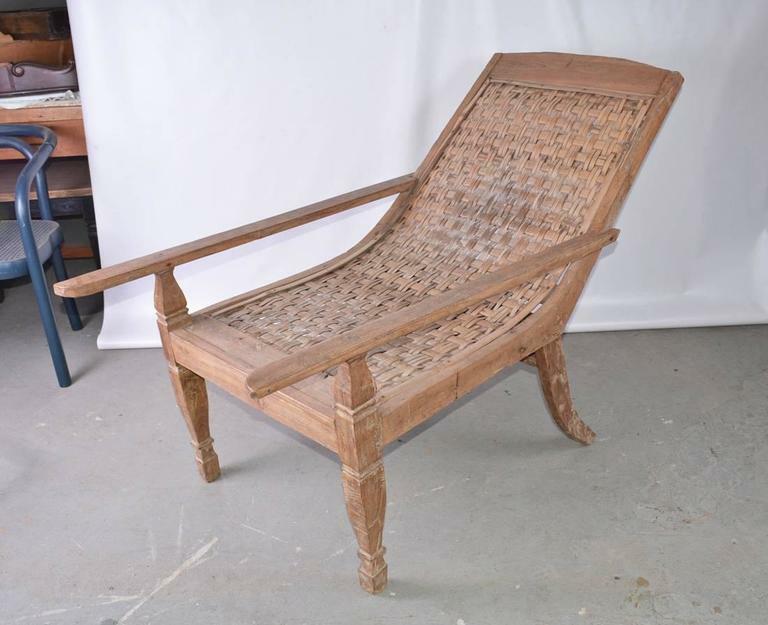 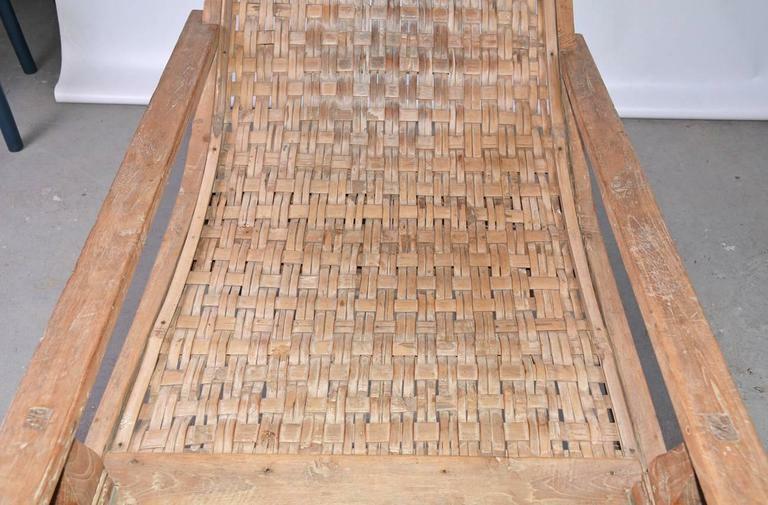 Unusual massive bamboo root chaise sling lounge chair, two position, extremely comfortable, superior quality and construction, heavy.